Hey LA peeps, it’s that time again so save the date! 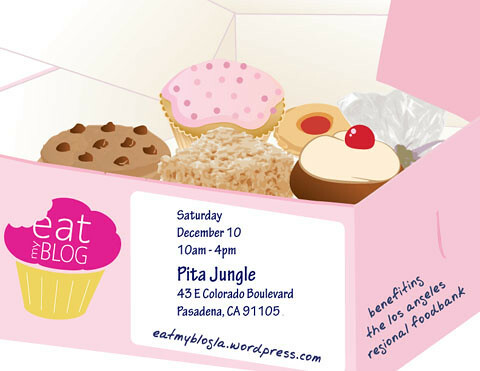 Eat My Blog 4.0 is being held December 10, 2011 at Pita Jungle in Pasadena. Proceeds go to the Los Angeles Regional Foodbank and I’m making Malted Milk Cookie Tarts so you don’t want to miss out! If you’re in the LA area and love sweets, here’s your opportunity to try some goodies from local bakers and help raise money for two great causes! The first bake sale is organized by No Cookie Left Behind and is this Sunday, June 13 at Scoops in Hollywood from 2-5. Proceeds go to Share Our Strength, a wonderful organization that raises money to help end childhood hunger. In addition to the bake sale, there will also be raffles and a visit from the Frysmith truck in case you need some savory to go with the sweet. I’m not baking for this event as I’ll be busy making five dozen cupcakes for a friend’s baby shower, but I did participate in the last No Cookie Left Behind bake sale which was a tremendous success; I hope this one raises even more money! 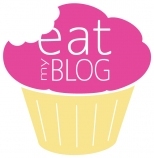 The Eat My Blog bake sale, benefiting the LA Regional Food Bank, will be held on June 19 from 10-4 at Tender Greens (yum!) in West Hollywood. I am contributing chocolate cupcakes with salted caramel frosting and everyone’s favorite brown sugar cookies, so here’s your chance to try out some of my treats. If for whatever reason my baking isn’t enough of a draw, there will be 85 (!!) local bakers and bloggers contributing, including chef and KCRW “Good Food” host Evan Kleiman! Please come on down and support a great cause!